The Jungle Book 8th Day (8 Days) Box Office Collection India Report: Heading Towards 100 cr; beats Avengers: Age of Ultron! Produced and Directed by Jon Favreau, The JB is the story of a boy who grows in the wild. We all know the plot but today’s VFX and Graphics did the magic onscreen. You surely must not miss this flick. Neel Sethi, the American lead actor in the film, has done a great job first weekend, and the supporting staff too helped the script cross the border. 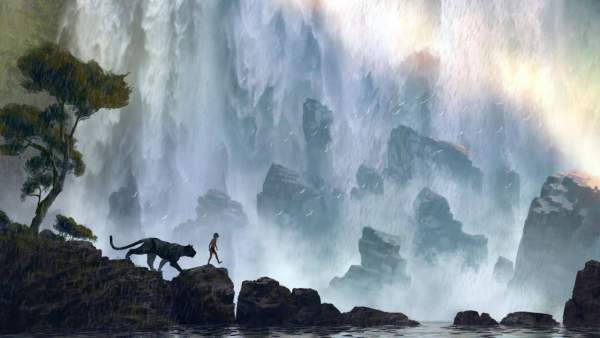 The Story is based on TJB by Rudyard Kipling, and the movie’s budget is about 175 Million Dollars. Waly Disney Pictures has given us another marvelous animated flick, and you must not miss it. Coming to the total box office report of The Jungle Book, the film managed to stand 2nd highest opener in 2016 right after Airlift. On day 1, the movie has bagged around 10.09 Crores. The audience highly preferred Sardaar Gabbar Singh over it. The 2nd-day collections were around 13.51 Crores and on the third day, the talkie did a business of 16.87 crores. As you can see, there was a great rise by the end of the first-weekend collection. So by the end of opening/1st weekend, The Jungle book did a business of 38 crores. On the 4th day, the movie bagged 7.60 crores and 7.07 crores on day 5 followed by 7.97 crores. On the sixth day, the flick collected about 10.97 crores. By the end of the first week, the movie did a business of 74.08 crores. It surpassed the Neerja’s 75 cr lifetime BO run. Despite Fan, it is held high. The film released in the home country and collected a whopping $4.2 million just from Thursday’s previews. The film is set for a $80 million opening day on Friday, according to Variety. By seeing is pace, the movie is expected to cross 100 crores in 5 more days. Stay tuned for live updates.